Enjoy a movie on any device with a complimentary rental from MuviNow. 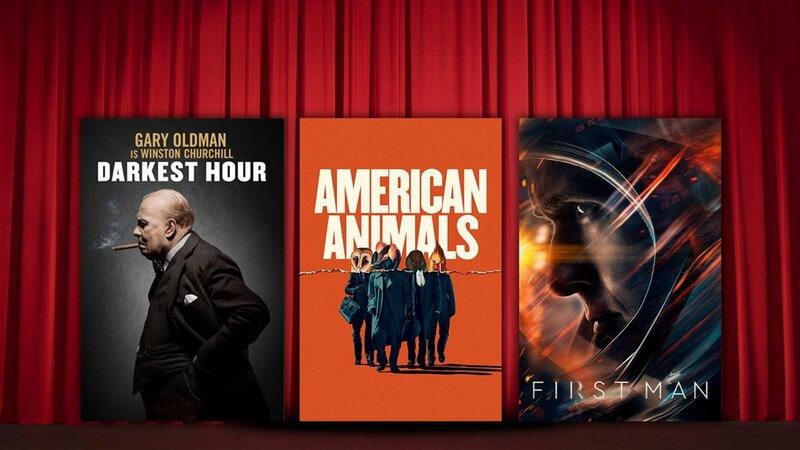 This month’s top picks include three incredible films based on actual events – Darkest Hour, First Man and American Animals. Or you can choose one of the thousands of titles, valued up to $7. The first 2,000 members will receive a complimentary movie. Each MuviNow Reward Code entitles the eligible Australian Plus customer to one 48-hour movie rental of up to a $7 retail value, which must be viewed within thirty (30) days of redemption of the Reward Code. Offer is limited to the first 2,000 redeeming customers each calendar month, and extends exclusively to eligible Australian Plus customers who are directly delivered a Reward Code. Each Reward Code will expire upon the end of the calendar month in which it was issued. Any unused Reward Code value is forfeited upon redemption. Offer not redeemable for cash and not transferable. Recommendations promoting content are made exclusively by The Australian on a strictly editorial basis and do not necessarily reflect the views of MuviNow. Additional free content offerings and availability of all content is subject to change at the sole discretion of MuviNow. All MuviNow content can be accessed on a wide range of devices. For more information, and to view the full MuviNow Terms & Conditions, please visit Muvinow’s website.